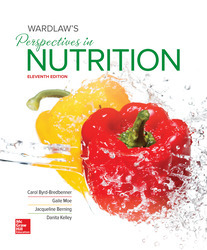 Wardlaw’s Perspectives in Nutrition provides everything students need for an introductory Nutrition course. Students will benefit from a carefully crafted text with current scientific thinking and research blended with dynamic activities. Building on its strengths, the eleventh edition has been enhanced with a new 'Culinary Perspective' feature and updated, refined content.